Sports Surgery Clinic (SSC) Northwood Avenue, Santry, Dublin 9. | SSC offers in one location a rapid access facility for screening, diagnosis, rehabilitation, and surgical treatment of acute and chronic sports injuries. Dr Éanna Falvey appointed World Rugby's Deputy Chief Medical Officer. 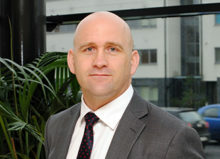 Dr Éanna Falvey, Director of Sports & Exercise Medicine at Sports Surgery Clinic has been appointed Deputy Chief Medical Officer at World Rugby. The Strength & Conditioning Team at Sports Surgery Clinic are now offering courses in Junior Athletic Development, a high-performance training programme covering all sports for children aged 9 to 15. As a leading international centre for the treatment of orthopaedic, spinal, sports and exercise related injuries, the Sports Surgery Clinic (SSC) delivers new standards for excellence in patient care. With enhanced patient diagnosis, treatment and recovery times, the SSC offers in one location a rapid access facility for screening, diagnosis, rehabilitation, and surgical treatment of acute and chronic sports injuries. Our dedicated team of medical specialists are experts in the science and medicine related to sports injuries, athletic performance, joint replacement and spinal surgery. With our focus on rapid and positive patient outcomes, the SSC offers a same day service where test results are available within 24 hours.